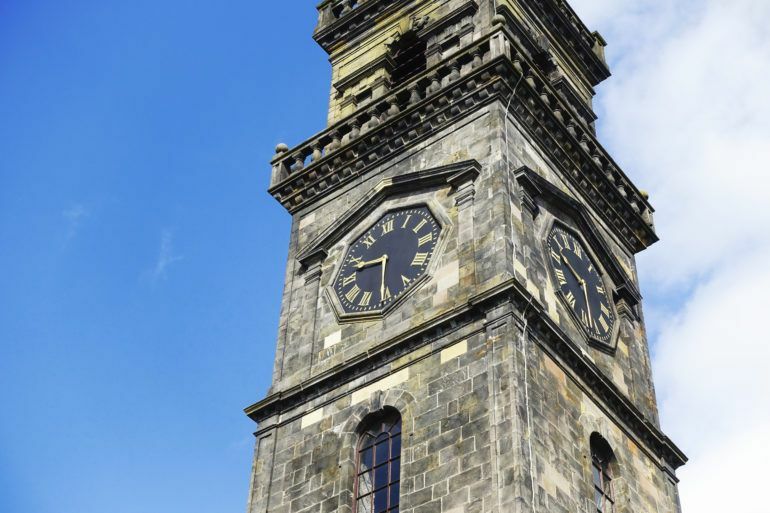 Located on the highest point of Paisley’s townscape, the church – formerly Paisley High Parish Church – looks over the town in spectacular fashion. As you wonder up Orr Square, you will be greeted by the towering steeple designed by architect John White dating back to 1764. 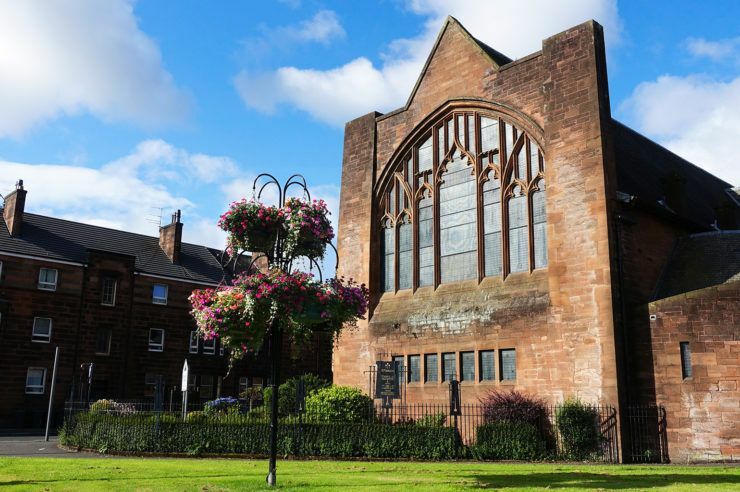 At closer look, you will see the breathtaking craftsmanship, a macabre burial ground and seating areas to relax and immerse yourself in Paisley history. 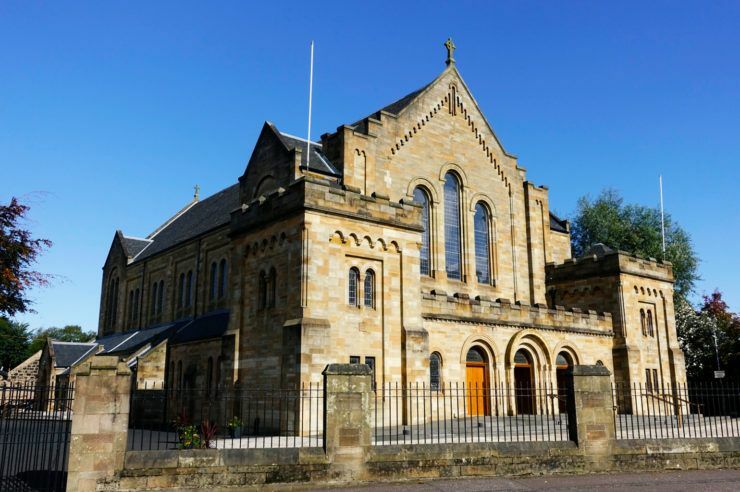 The panoramic views from Oakshaw Trinity Church are absolutely stunning and a great snapshot of your time in Paisley. Legend has it that a stone mason fell to his death during construction. His workmates carved the outline of the handkerchief and spectacles in the cobbles where he fell as a tribute – see if you can spot it on your visit. 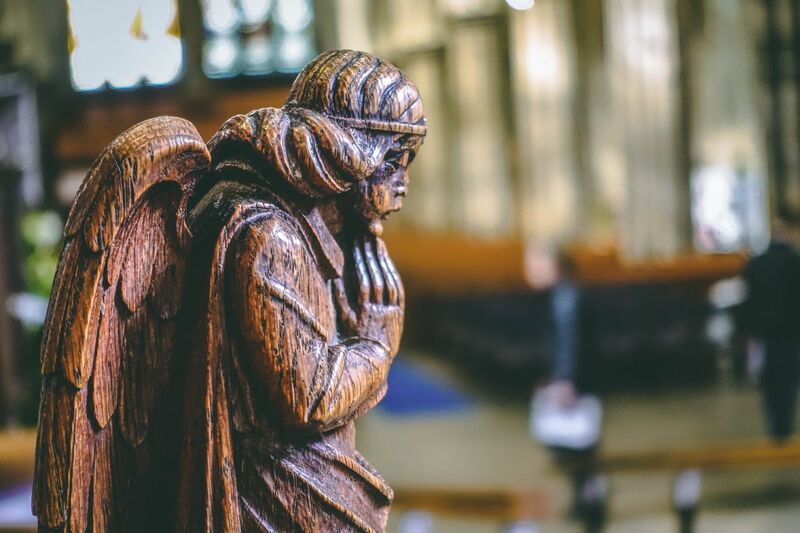 The main objective of the church is to be a caring and serving arm to the town centre by sharing faith and the services of the church with the community – shoppers, visitors, students and workers. Please contact Oakshaw Trinity Church for details. A 10-minute walk from Paisley Gilmour train station. No cafe at Oakshaw Trinity Church. 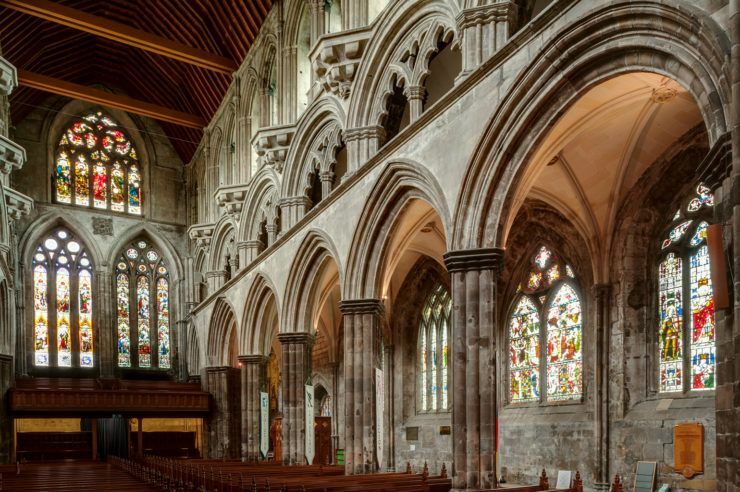 Paisley is famous spectacular buildings with stunning spires populating the skyline – St Mirin’s Cathedral is a prime example of one. Paisley's earliest days are shrouded in myth and mystery. It all begins with the story of an Irish monk and missionary still commemorated in the town today.